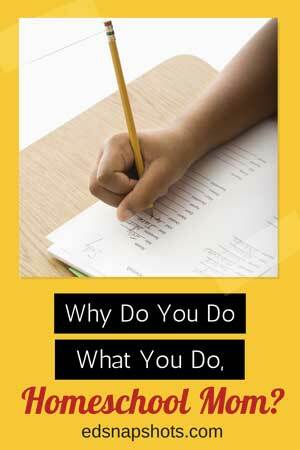 Why do you do what you do, homeschool mom? Recently I took part in an online conversation with homeschool moms about the value of cursive writing and whether it should be taught in a homeschool. It was a polite, but lively conversation and a number of people weighed in on the topic. The most surprising thing about the conversation was that instead of relying on their own family goals or the latest research on the subject, so many families were basing their decision to teach cursive on the whims of the public school. “They don’t learn it any more in the schools in our town” and “My friend who is a teacher says…” were common refrains. That got me to pondering. If pressed, many homeschooling families can succinctly spell out why they homeschool. 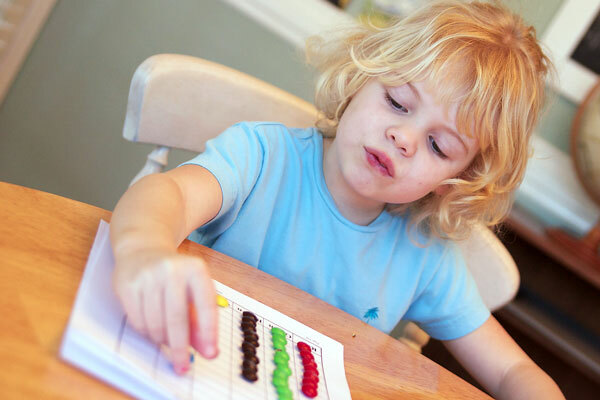 Homeschooling is tough; it is likely someone won’t be homeschooling long past the first few months of eight-year-old math angst, without that knowledge of purpose and conviction. In addition, most homeschoolers can explain quite well why they follow a specific homeschooling philosophy. Whether they are Charlotte Mason because they believe in a broad, liberal arts education for even the youngest child, or are Unschoolers because they believe you can’t learn anything by coercion, they have thought enough about the philosophy before taking it on to know why they wear the label. Where I see a lack of forethought on the part of homeschoolers is in thinking about the whys of their day-to-day subjects and schedule. 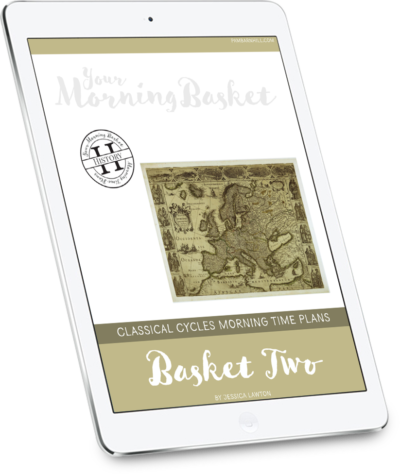 Much thought and deliberation goes into the purchase of curriculum, yet how much thought goes into the idea of why you should even buy curriculum to do a subject in the first place? Are we doing elementary science because our neighbor is doing it or does it have a specific purpose? Why learn a foreign language, especially one that nobody speaks anymore? And once and for all, what is the purpose of algebra if everyone knows we will never use any of that stuff in real life anyway? Can you answer those questions? More importantly, can I? For some homeschoolers the state still dictates what they learn and this discussion is rendered moot. For those of us fortunate enough to have totally shaken off the shackles of bureaucratic oppression, (no that is not too extreme a visual. Do you remember what it felt like to sit through your high school government class?) we need to take a hard look at our learning plans and adjust them based on our own goals, beliefs about learning, and even the interests and abilities of the individual child. So I am issuing a challenge to you. Take out a sheet of paper and make a list of every “subject” you cover during your homeschool week (be sure to include outside activities like co-ops and music lessons). Then take some time to pray, think, consider your goals, do some research, talk to your spouse, and if they are old enough, your children. Bounce some ideas off of a trusted friend. Then come up with your reason for teaching every single item on that list. If the reason that ends up on the paper isn’t compelling, if it ends up being something like: “we’ve always done it that way”, “it’s what they do in schools”, or “I have to do it because it came in my big box of books”, then it might be time to consider dropping it altogether. Be firm in your conviction that you know what is best for your children. I have been on the other side, and I can tell you that with a little research on your part, their reasons are no more knowledgeable than yours, and what is in the best interest of the student is often not their main motivation in deciding what to teach or not teach. Then sit back and reap the rewards that I am confident will come from this decision. Imagine what your days could be like if they were not crammed so full of busyness. Imagine how much time you would have to spend on what is important to your family, if you stopped doing what was unimportant. Imagine how effective the learning would be in the subjects that have value, if you didn’t have to do the ones that hold little value. Imagine how convicted you would be when faced with opposition (of your own child and the nosy neighbor variety), if you are secure in the knowledge of the importance of what they are learning. Imagine how happy your husband will be if the curriculum bill for the year was cut by a third or more. Don’t think I am advocating a non-academic education or lack of rigor here. Our homeschool looks more academic this year than it ever has before, because of a choice I made after careful consideration. And yes, I am seeing great rewards. As homeschoolers we are so blessed. We get to decide what is right for our family and our children. Just please make your reason for teaching what you do based on what is best, not on what is being done down the street. 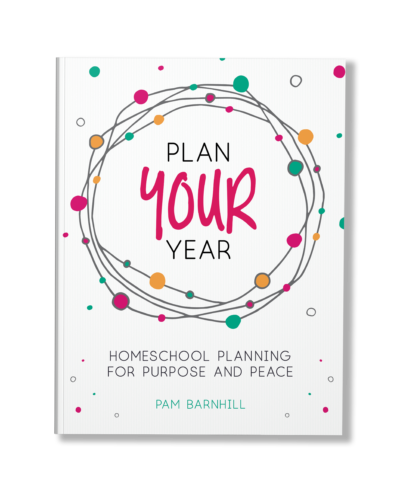 I can’t tell you how timely this post comes in our homeschooling adventure. We have been debating why we are continuing on beyond basic math with Jesse. She has started Algebra this year and is not enjoying it, to say the least. She constantly questions why she needs to learn it and when in the world she will ever use it. My only answer to her questions is if she decides to go to college. Then I question myself as to why I’m torturing my 13 year old with something she may indeed never have any use for. If she does decide to go to college, she has the ability to learn it then. If she’s learned nothing else, she knows how to learn.If she decides she needs it to reach a goal that she set herself, then she would definitely be more motivated and willing to do it. I’m very torn over the, “well that’s what everyone expects” excuse. I just asked my husband only a day or 2 ago if it would bother him at all if we just dropped it. I’m trying really hard to find a reason not to just drop it and I’m not succeeding. I’m also trying very hard not to do the Algebra just because of my, “what if I fail her in some way” fear. As far as requirements go,I totally agree with you on being baffled that people don’t know the law in their own state. I see it way too often here. I also love the way those same people like to tell you what is required when they don’t have a clue….makes me want to scream! I think you should drop it – FOR NOW. She is only 13. Maybe all she really needs is some more maturity. Tell her that. “I would rather you wait a couple of years and take this when it might be less frustrating for you.” And then do something else. Do some business math. Can you do non-proof geometry without having done Algebra first? Find someone who knows. Work through the Danica McKeller books. I am assuming you have tried LOF, right? She’s 13. This is not all or nothing for this year. Take a step back, do something else, and let her know that it is OK to try again later. This is a big fear of mine, also! I will tell you that there are obviously some careers, college or no, that will require that kind of math, but if your daughter has no interest in those fields, waiting on the algebra probably isn’t that big a deal. When I start struggling with the “why” of math, I always ask my husband, the computer programmer, if he uses what we’re learning. 9 times out of 10, the answer is ‘yes’, and that gets my son back into the game, since he wants to program, too. Where do you use algebra? Nurses use algebra to calculate correct dosages of medication. Doctors use algebra to decide how much anaesthesia to give someone based on their weight. Policy professionals use algebra to figure out how much each $1000 they invest in a program to reduce the waste going into the city landfill translates to cubic meters of waste diverted. Engineers use algebra to build bridges, buildings, and figuring out the slope of a road when it curves. Pilots use algebra to calculate descent rates. The Congressional Budget office uses algebra to determine what a particular tax proposal does to the national deficit. Algebra gets used a lot. If you want to understand uptake rates of solutions in chemistry, that’s algebra. If you want to understand planetary motion, that’s algebra. I can understand maybe not doing trig or calculus, but algebra is essential to be an informed adult, in my opinion. And of course, your mileage may vary, but algebra is a hill I’m willing to die on for my homeschool. Thanks for this very thought provoking post. Obviously, I think algebra is important. My son’s five, so we have a few years before I worry about that, though. Oh Emma that comment was meant to be rhetorically tongue-in-cheek. 😉 I imagine Algebra will be a hill here too (though you did enlighten me to all sorts of uses, I hadn’t considered). But I love that you KNOW why it is important. I also want to point out that for some folks, the whole purpose of Algebra might be because it is required for college admissions. I have never used Algebra very much in life, but I NEEDED Algebra in order to become an English Literature major. That is enough of a reason to have to do it. Enjoy your homeschooling! I did not mean to say that no one needed Algebra. I didn’t even mean to say that she would never need Algebra. I just meant to say that if she decides later that she wants a career that requires Algebra, that she could learn it then, when it is relevant to her. I took Algebra in high school and made excellent grades. I however never really understood it, still don’t really understand it, and have never once needed it until my daughter could not figure out the problem she was trying to do a few weeks ago. We looked at the Danica McKeller books, but Jesse thought Danica was a bit to “sassy” and “worldly” for her to be able to relate with her. We have been using Life of Fred for 3 years. I bought a small Algebra workbook to go along with it this year and found out that Fred had not prepared her as well as we thought. She was very upset, I was a little upset, it was a traumatic way to start our year. I think I had already, just about, kind of made up my mind to drop it and I was already leaning toward business math. I will say for me that there is no academic subject….. no Math, no English, no Science, no ANYTHING other than making sure my children know the Lord that will ever be, ” a hill I’m willing to die on for my homeschool”. I most certainly made up my mind about that a long time ago. No, Nope. Never got that idea from your comment at all. In fact, I knew exactly what you meant by waiting for something to motivate her — a need for it, and I think that is a good plan. My offering was something slightly different — a wait and see attitude. Would maturity help with the Algebra? Maybe 13 is just too young. I very likely had the same Algebra teacher you did and took all the way up until Calculus my senior year. Passed it all too, but like you it did me no good. I never understood a bit of it. And other than needing it to get into college, I have never used any of it either. So I understand. I was just saying that if I was faced with that problem as a parent (and I very well could be in six years or so) I would stop to protect her confidence, but then offer one more chance at it a couple of years later. Sorry the McKeller books didn’t work out. I have heard them recommended, but never seen them. We did not care for the Fred Elementary series here, but I had remembered her enjoying some of the other books. Business math may be just the ticket for this year. For me, and I am sure you will agree, the most important thing would be to protect her confidence in her own abilities. Algebra didn’t work right now, but that doesn’t mean it won’t down the road. For me that would be the attitude to preserve. How about something like Hands-on Equations? Or Zaccaro’s Real World Algebra? Perhaps neither right now – she’s young enough to take a break from that sort of math – but just a couple of ideas to consider down the line. A very timely post! 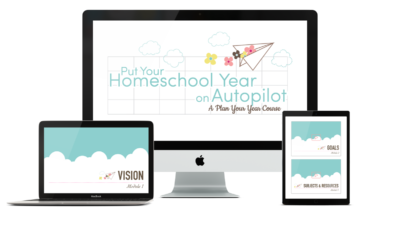 I spent the last month agonizing over the hows and what-to-use in our homeschool, and then I did exactly what you suggest here – I backed off, took some time to really think, to reconsider our goals, and how we are, or are not, reaching them. I had to shut myself off from the Classical mode for a while, and the other modes that don’t fit my children’s particular learning styles, AND what local “school” kids are doing, to find and focus on what was best for US. And I think through that thinking, I freed myself from a lot of the everyone-is-or-isn’t-doing-it mentality… I hope! I think this year has a lot of promise now, and I am looking forward to enjoying it with my children. What a great post, Pam. One of my favorites. Regarding cursive, I personally loved a story I heard told by Susan Wise Bauer in a talk on writing. She was talking about one of her boys, I think her oldest at age 19, was traveling abroad, walked up to customs and was told that he had not yet signed his passport and needed to do so. He looked at Susan and said “I don’t know how to sign my name. We never learned that!” She was laughing about it but there was a lesson there for me in that it’s probably good to learn the basics. At least so my kids can sign their names:) And be able to at least read cursive, right?! Of course, having said all this, I admit that my husband prints his signature and always has. And he signs plenty of checks that way! :) Go figure. I am going to seriously think about this all year. I’m going to constantly pray about it as well. I think these conversations are great to have with our spouses as they have such a different perspective than we have! My husband is a teacher in a private school and he often gives me the “real deal” when it comes to kids and learning and I love that he does that for me. Thank God for the graces that come with the sacrament of marriage! 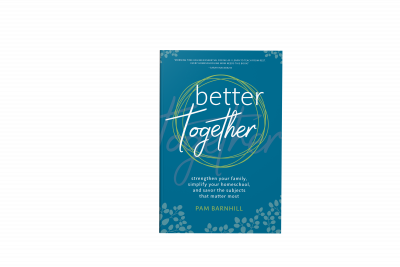 Thanks again, Pam. I love coming to your space! My view is that they have to learn cursive because they have to be able to read it — it is still a basic literacy skill, because so many people hand-write in cursive and sometimes printed material appears in a cursive font. It doesn’t have to be in second grade though. I put off my second son’s cursive education until his younger sister was ready to do it, just so I could teach both at once and save time. Yep! Totally the same thing here. I love this…I actually love everything you have written that I have read. 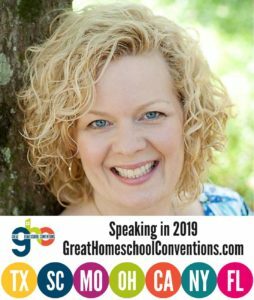 I’m not knocking ANYONE but when it comes to homeschool guidance and advice…I’m not sure I have came across anyone who is able to articulate the little nuances that really seem to keep some of us chasing our tails. You are very gifted, anointed I would say, at leading people to a place where they aren’t just following some rote program or worksheet…but you lead people to a place where they (me) come to an understanding about WHY and then that gives us freedom and purpose and…well then we don’t need quite so much help! I took the challenge, and can I just say – to see the reasons down on paper why we are doing what we’re doing – it’s amazing! I wrote out our Homeschool Mission Statement a year ago, and I’m constantly rereading it and adding to it, but I had never sat down and written out why we used each of the curriculums we’ve chosen, or even why we cover each subject. Because our children are young (5 and 3) our list of subjects is fairly small, but to sit down and really ask myself “Why this subject?” was eye opening. Some of the reasons I didn’t even know I had until they just started pouring out of me onto the page. I also added in our extra curricular activities like you said (Co-Op, taekwondo, swimming, etc.) and found that there were wonderful reasons why we chose to add those activities to our schedule – and it wasn’t just to fill time! Thank you so much for this podcast – it’s been eye opening!